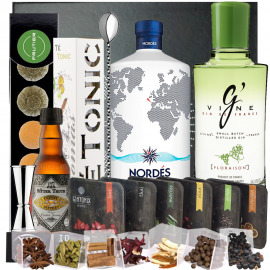 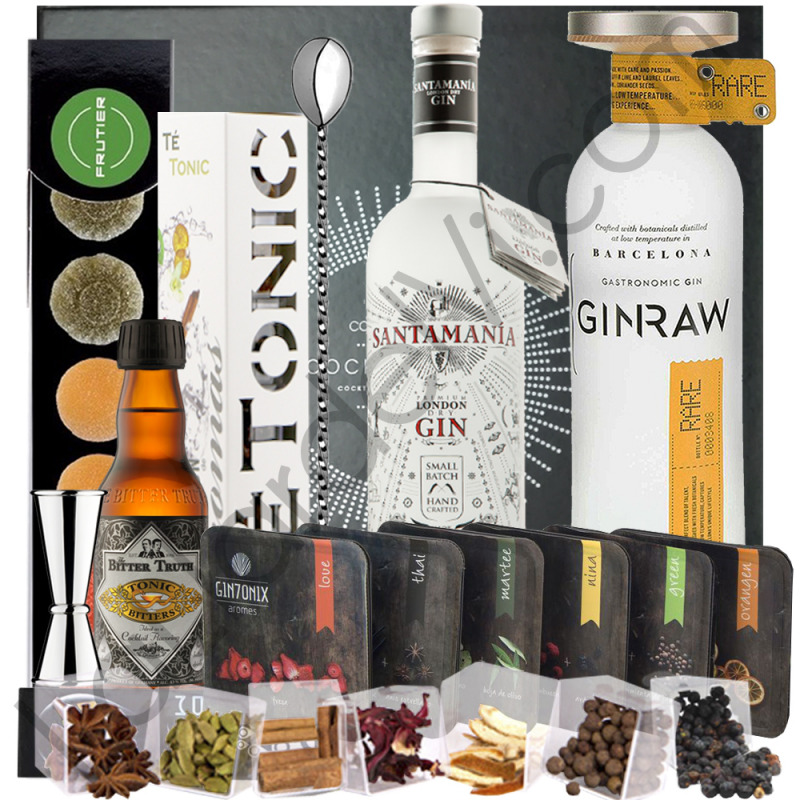 Destilados & Gourmet>Gin Tonic & Vodka Tonic>Kit Gin Tonic>Kit Gin Tonic "Barcelona - Madrid"
In this pack we find two of the most cutting-edge gins at the national level, Santamanía distilled from vinous alcohol of tempranillo and Gin Raw, a gin that uses processes of distillation typical of haute cuisine. 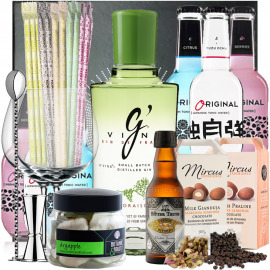 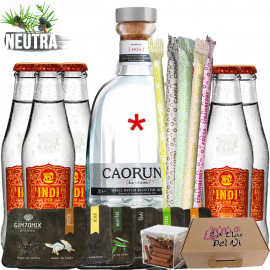 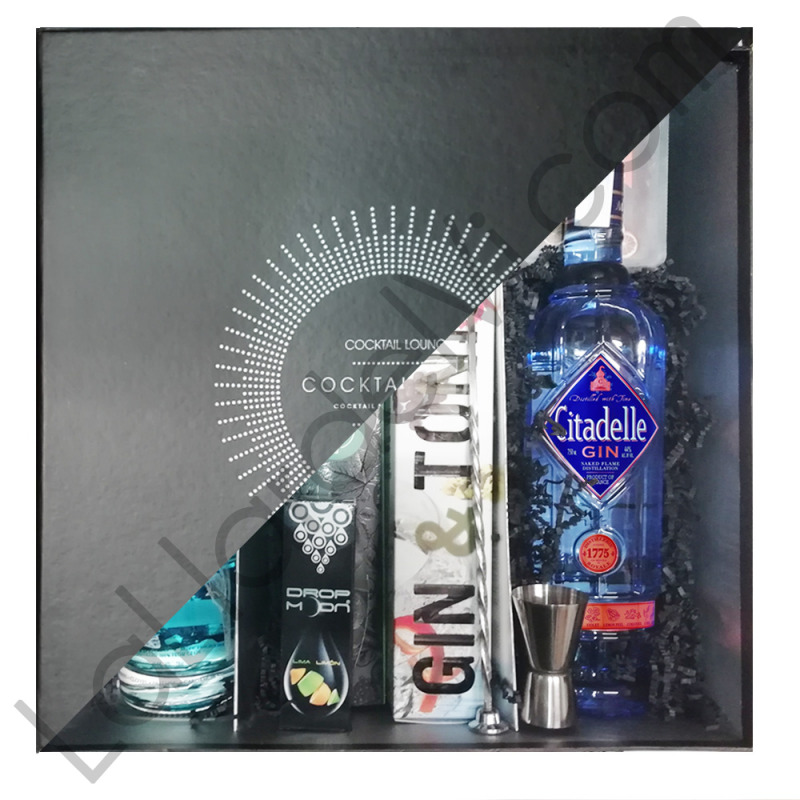 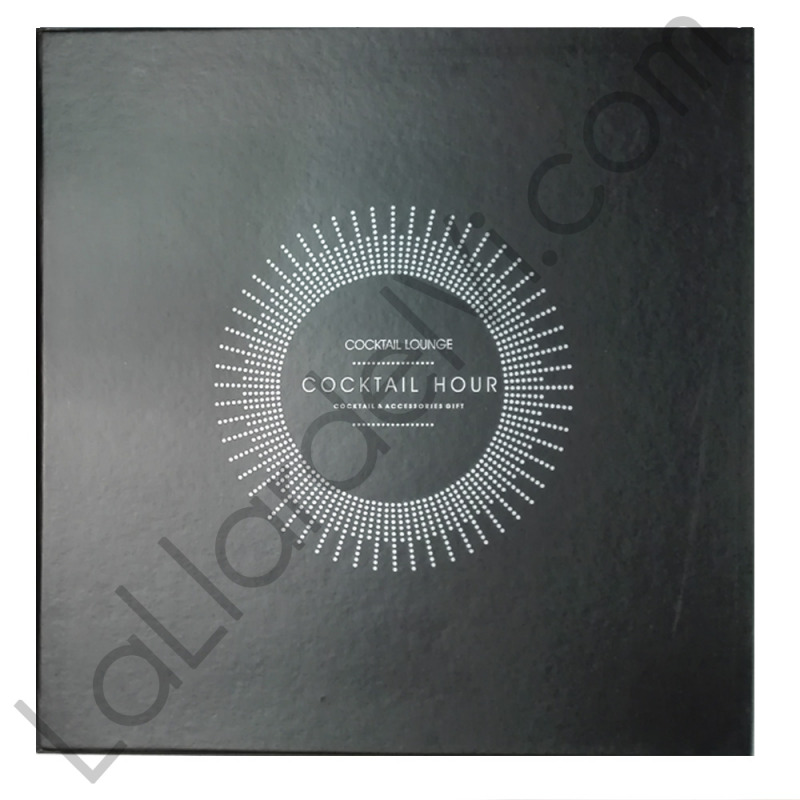 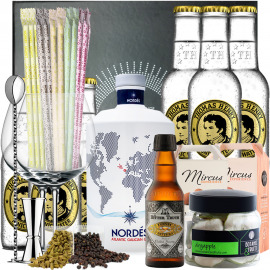 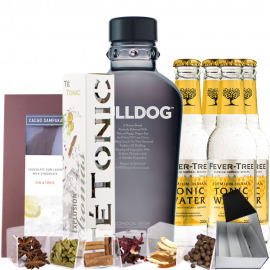 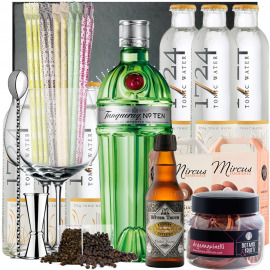 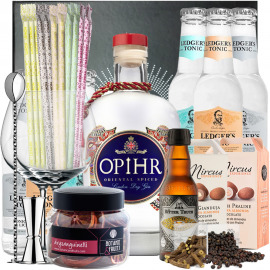 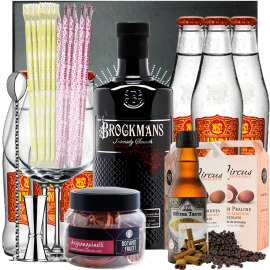 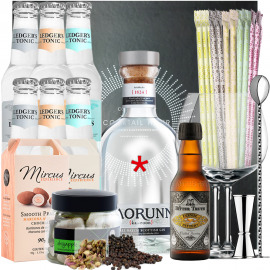 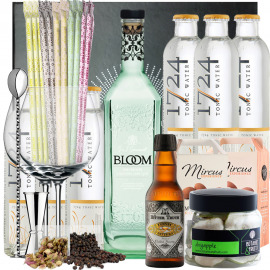 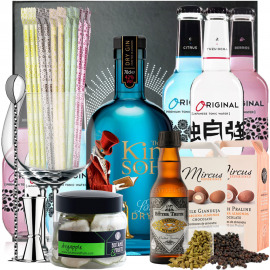 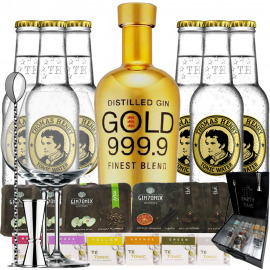 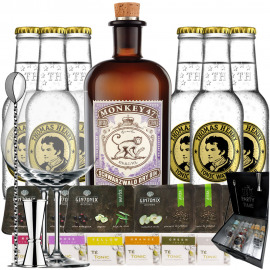 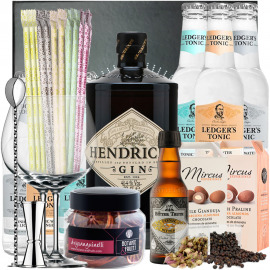 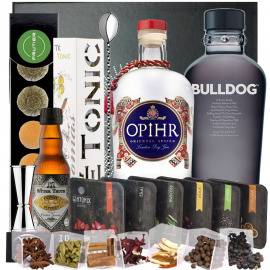 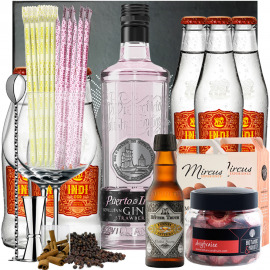 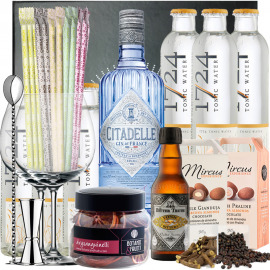 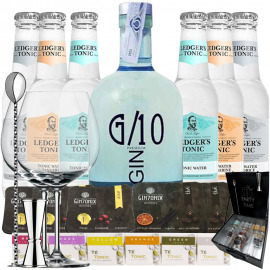 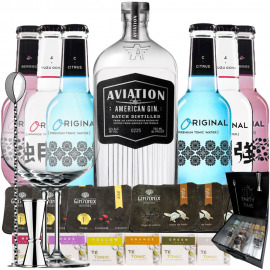 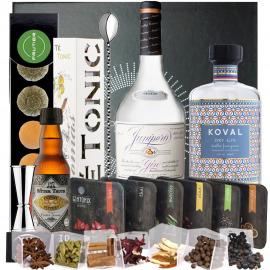 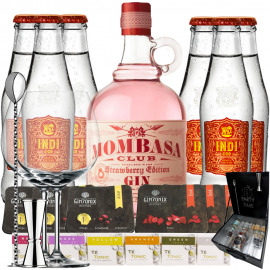 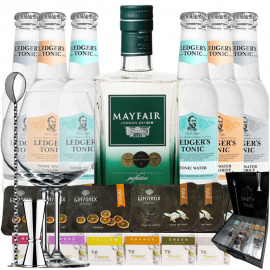 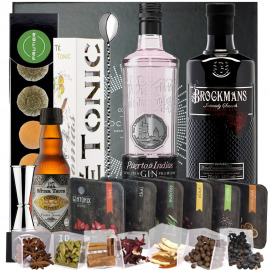 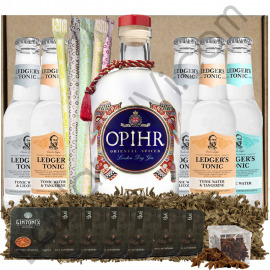 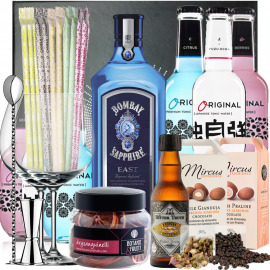 In addition to meter, braided spoon, case with seven botanicals, six different barlets, a Tonic Bitters 20cl and fruit jewelry made with different citrus fruits. 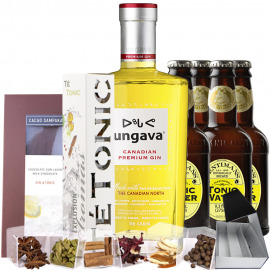 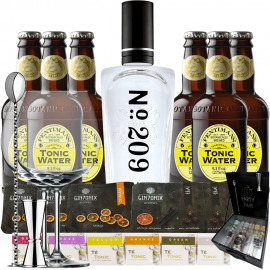 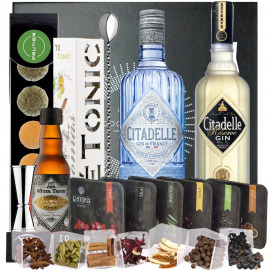 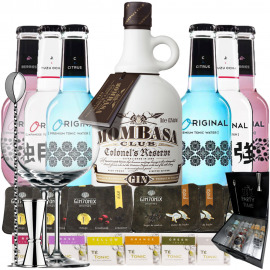 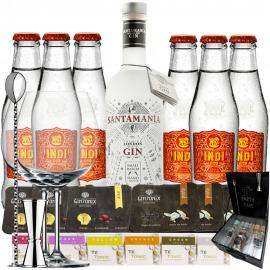 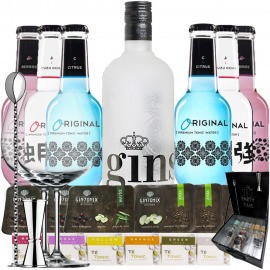 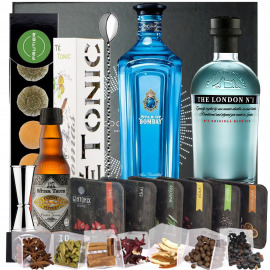 A Gin London Dry Gin Santamanía 70cl 41% vol., a sophisticated and fresh Madrid gin of floral and citrus character. 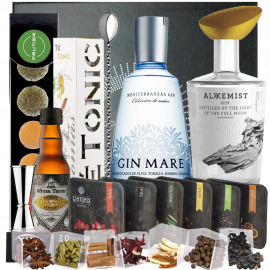 Botanists such as juniper, coriander, licorice, lime, lemon, angelica, pistachio and raspberry are distilled in copper stills with vinous alcohol from one of the most famous grapes in Spain, the Tempranillo. 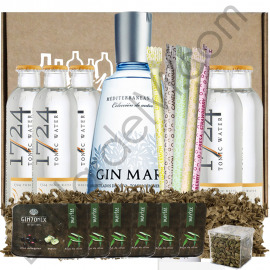 To finish the process, the distillate is mixed with Teide water.